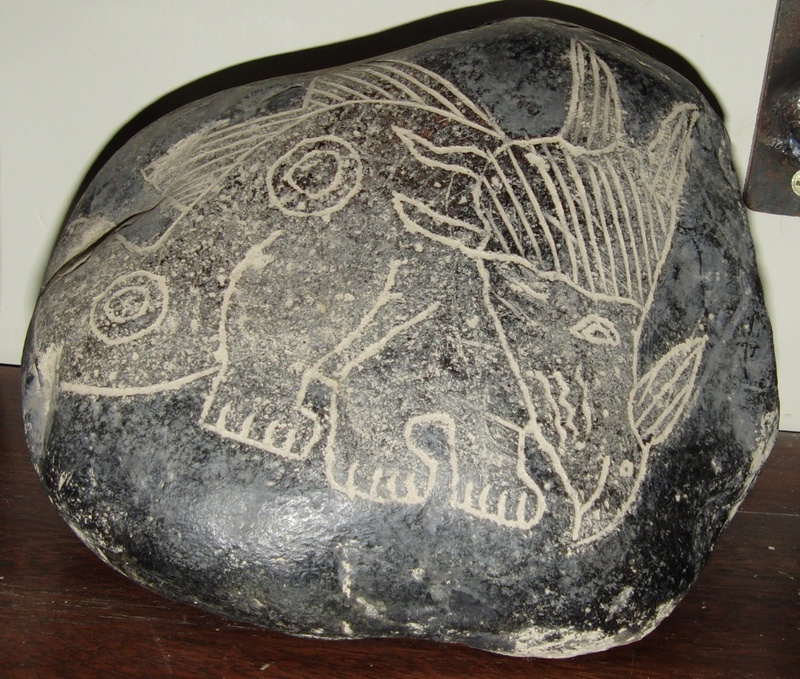 "The Ica stones are a collection of andesite stones found in Ica Province, Peru that bear a variety of diagrams. Some of them supposedly have depictions of dinosaur, and what is alleged to be advanced technology. These are recognised as modern curiosities or hoaxes. From the 1960s Javier Cabrera Darquea collected and popularized the stones, obtaining many of them from a farmer named Basilio Uschuya. Uschuya, after claiming them to be real ancient artifacts, admitted to creating the carvings he had sold and said he produced a patina by baking the stone in cow dung."